Pretty much the entire country is shivering through a polar vortex right now and what better way to warm you up to your toes than with a cup of soup? 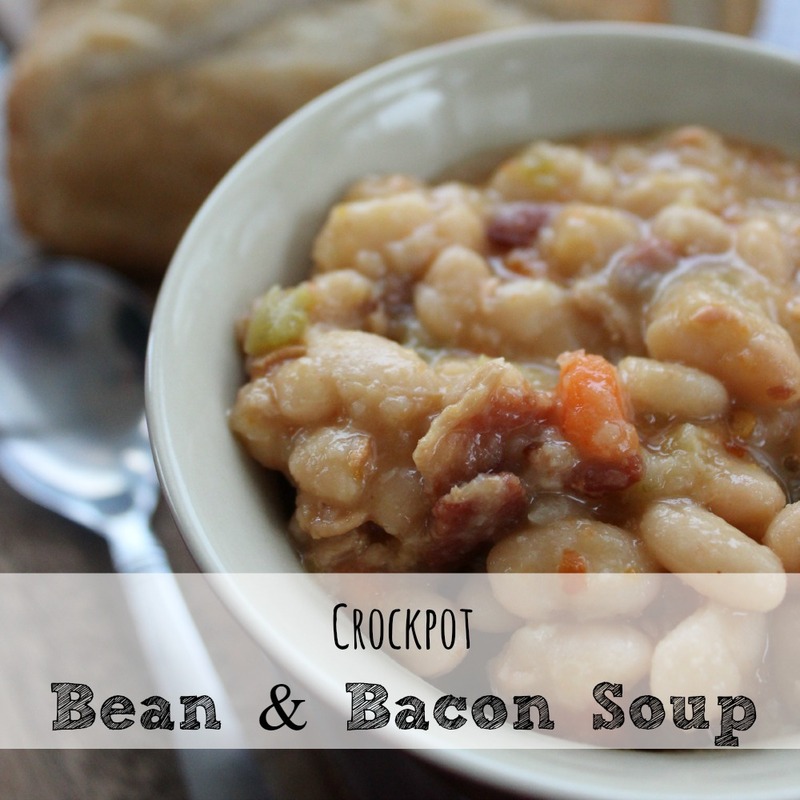 This crockpot bean and bacon soup recipe will fill you up with yummy goodness. 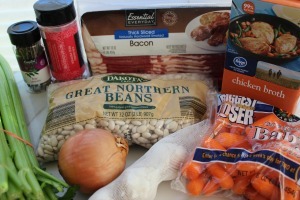 Packed with fiber and protein, this crockpot bean and bacon soup can be a meal all on its own! It only takes a few minutes to throw together! 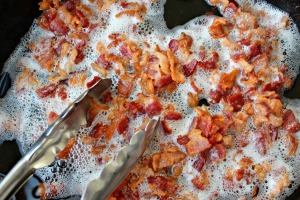 Cut up your bacon in to small pieces and fry it up until it is nice & crispy! After that, just dump everything in to your crockpot and cook on high for 2 hours, then on low for another 6 hours. Remove the bay leaf and serve! See the complete directions below! 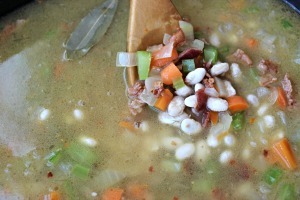 This hearty bean & bacon soup cooks up your crockpot and is just so delicious! 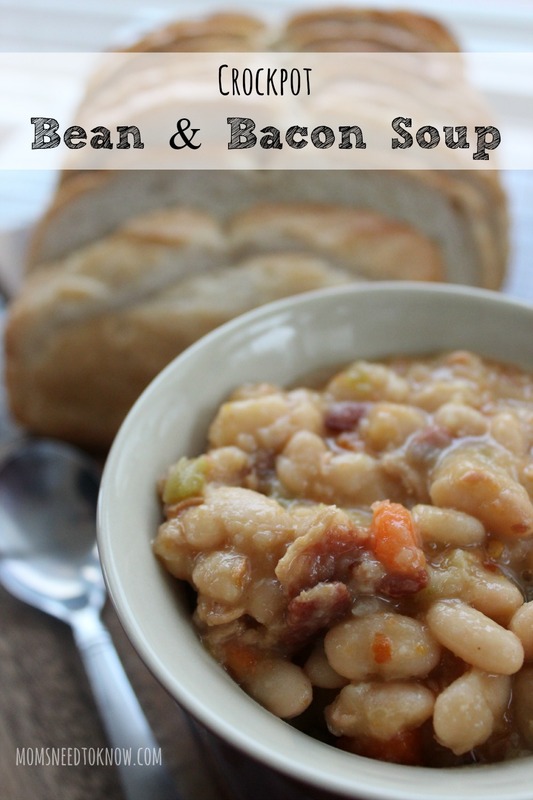 As a child I loved beans with bacon soup…I’m going to have to try this!! It looks just like it!! Hey I would love for you to share your stuff at My 2 Favorite Things on Thursday Link party!! Hope to see you there!! This soup looks awesome! 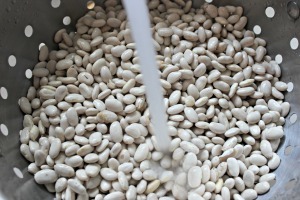 I grew up eating Bean with Bacon Soup from a can. I bet this is much better. You are being featured this week, over at Simple Supper Tuesday. We hope you can join us again, starting Monday night at 8pm EST.